Readers, I’m back in the kitchen again, as Christmas is on approach. I love this time of year. It's the joy of locking myself in the kitchen for hours, making sauces, trying new things and using cinnamon to my heart's content. There’s something incredibly enjoyable about the smell of Christmas in the house. That smell that you can’t quite describe, other than "Christmas". Anyway, Diageo got in touch a few weeks back, asking if I’d like to get a recipe together for them using one of their iconic spirits. Being a fan of a good G&T, I went down the gin route with this post. 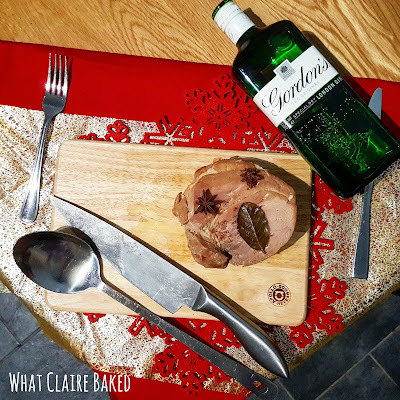 Whilst a dessert or a cake may have been the obvious choice to include gin, I’ve gone savoury for this recipe. My Gordon’s gin gammon is a winner throughout winter, not just at Christmas and if you have any left over, it cooks down perfectly in a pea and gammon soup. The key to this recipe's success is long, slow cooking so don’t rush it! I mean it... don't. 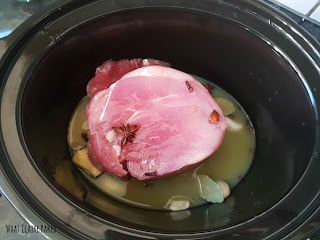 This one had 10 hours on low in the slow cooker. To find out more on Gordon's check out their social media pages on Facebook, Twitter and Instagram. You'll have ample time to do this whilst your gammon cooks away! Add the gin, orange juice, vegetable stock, garlic, ginger, cinnamon, star anise and bay leaves to the slow cooker. Before adding the gammon, use a fork to pierce the meat on both sides (this will help the flavour seep through the meat). 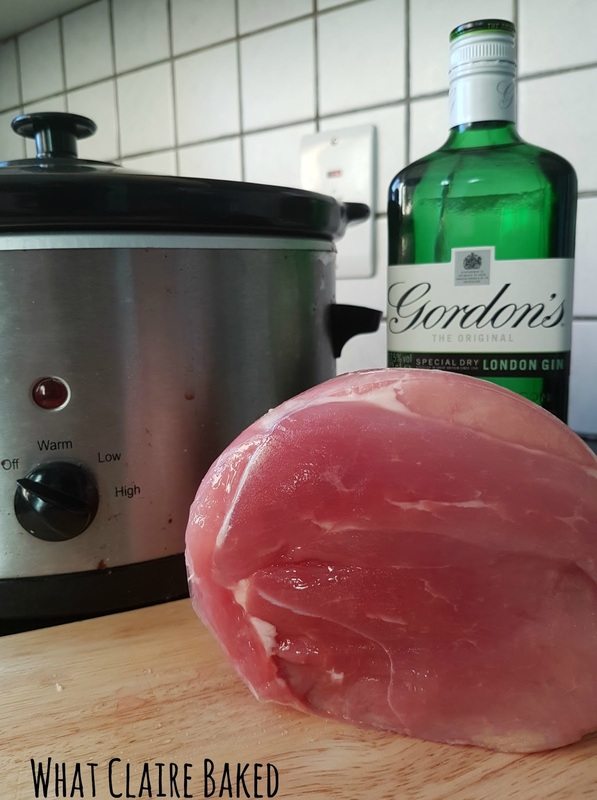 Add the gammon to the slow cooker, place the lid on and cook on low for around 9-10 hours, turning the gammon over halfway through cooking. Before serving, remove gammon from the slow cooker and rest on a plate for 5 minutes, before proceeding to cut into thin slices. The meat should be tender enough to fall away. Serve with roast potatoes, seasonal veg and gravy if desired! 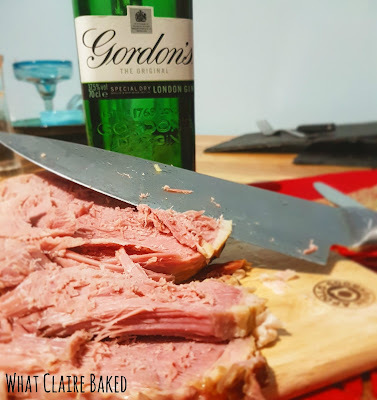 Disclaimer: I was sent a bottle of Gordon's Gin to create a recipe. Any opinions expressed are my own.